Are you looking for a delicious piece of candy that is also fun? Bonomo Turkish Taffy is the perfect option for you! Smack it and Crack it with our new Wild Cherry flavor! Once you crack it, you will be hooked! Want to try more flavors? 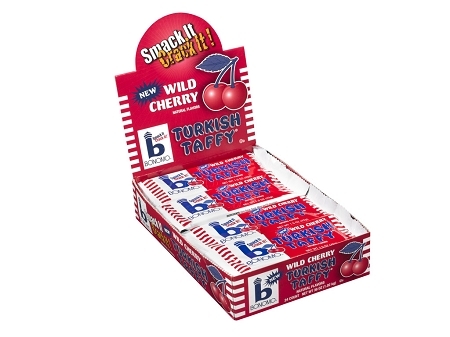 Bonomo's Turkish Taffy is available in many flavors, including: chocolate, blue raspberry, banana and more! Take a look at our product pages to see all we have to offer!